A scuba diver’s paradise, the Bahamas archipelago comprises hundreds of islands, cays and coral atolls. North Americans will find it easy to reach this country located between Florida and Cuba. Yet despite their proximity, the islands are sparsely populated. With a Bahamas liveaboard trip, you can expect clear waters and unspoiled dive sites. Those looking to dive with sharks have come to the right place. The Bahamas also boast a plenitude of historical wrecks, underwater caves and blue holes. The abundant coral reefs are home to a multitude of colorful fish, and you can even swim with pigs at the infamous Pig Island. The Bahamas is bucket-list material and here at The Adventure Junkies we want to help you plan the perfect diving getaway. We’ve put together a handy guide to help you find the best liveaboard to get the most out of your diving trip to the Bahamas. The Aggressor Fleet is synonymous with luxury, no matter where you’re liveaboard diving. And, this boat is no exception. 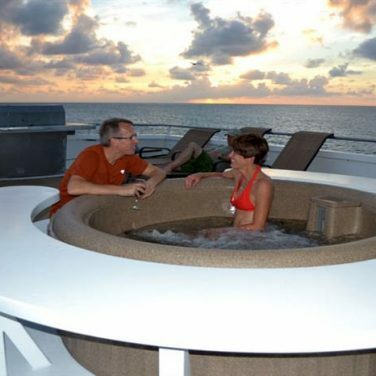 High-end extras like an on-deck hot tub, spacious cabins and common areas, and fine dining make it easy to pamper yourself between dives. And, you can expect the region’s best camera facilities, a spacious dive deck with individual gear stations, Nitrox, and up to 5 tanks a day. 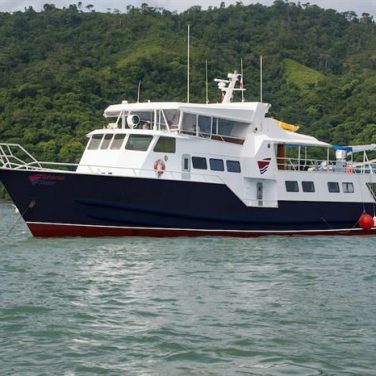 This liveaboard also offers some of the region’s most exciting itineraries. These expeditions visit hotspots like Bimini and Tiger Beach for up-close encounters with sharks. Extended voyages and photo workshops are available, too. A trip to the Bahamas is a dream destination for families, and many groups visiting here include non-divers. The Aqua Cat is unique in the region, catering to these mixed groups with a variety of free activities. Shore excursions, snorkeling, kayaking, and fishing are available daily. 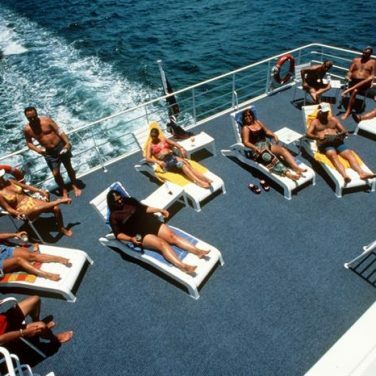 Guests who prefer to stay dry can spend their time relaxing with a spacious sun deck, full bar, and swaying hammocks. This boat offers plenty of dive focused perks too, like Nitrox and professional underwater photography. Plus, with up to 4 tanks per day, you’ll get to see the very best of Exumas underwater. 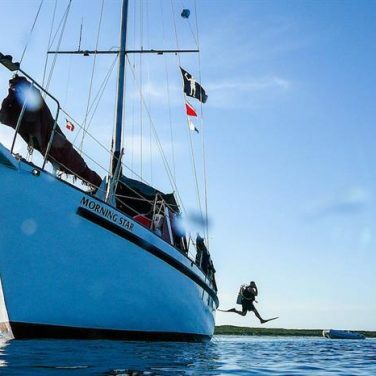 Backpackers, social travelers, and liveaboard divers on a budget can get the most bang for their buck with this affordable option. Dorm-style cabins, buffet meals, and shared bathrooms add to the family-style ambiance onboard. And, you’ll get just as many dives at the same great sites as luxury cruises in Exumas, with a schedule of 19 tanks per 7 day trip. Every itinerary includes shark dives, wreck dives, and plenty of time on the region’s walls and reefs. This boat is perfect for new divers too, offering a full range of courses beginning with Discover Scuba. 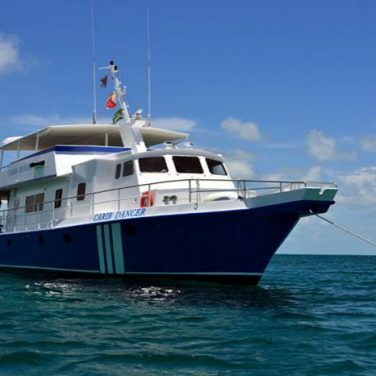 For serious divers and liveaboard veterans, there is no better boat in the Bahamas than this one. 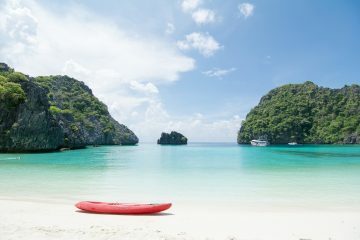 Creative itineraries lasting up to 11 days tour the region’s very best sites including Bimini and the northern islands. These unique trips hit all the top spots for sharks and wrecks. 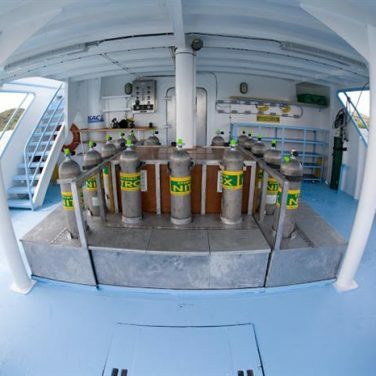 Dive friendly perks include camera facilities, a spacious dive deck, individual gear stations, Nitrox, and support for rebreather divers. The Bahamas Master offers plenty of creature comforts, too. Guests can expect cozy cabins at multiple price points, roomy and plush common areas, top-rated cuisine, and a full bar. Intermediate. Most dive sites around the Bahamas are perfect for beginners. But, a handful do require advanced certification. 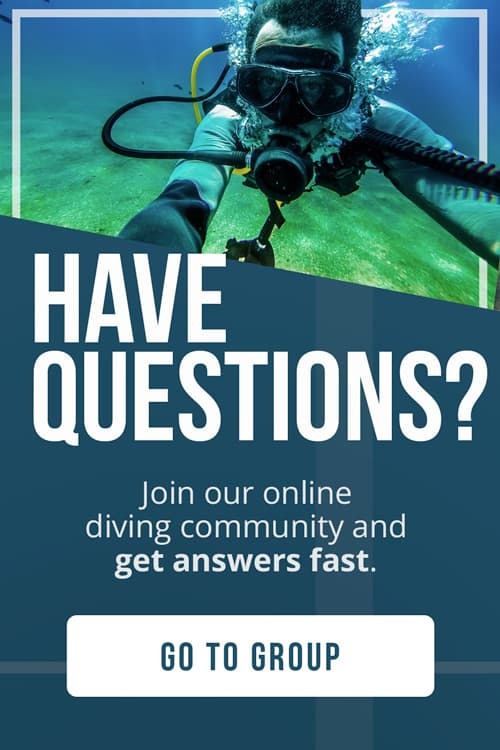 If you’re hoping to explore shipwrecks, blue holes, and deep walls, you’ll need more than just an Open Water skill level. Many liveaboards do offer courses onboard, and this region’s calm conditions are perfect for learning. 7 to 11 days. Several island groups make up the Bahamas. And, no liveaboard itinerary visits them all. If you only have a week in the region, you’ll likely spend your time in Exumas. Longer trips combine these islands with the northern and central cays. And, because the Bimini islands are some of this area’s most remote, they often require a voyage all on their own. You can dive in this region year-round. But, most people prefer to visit between March and July for warm water, good visibility, and plenty of sharks. This is the busiest time of year, so plan for peak season prices and crowds. Fall months are tropical storm season. If you’re visiting during this period, keep a close watch on the weather. Weather here varies dramatically by the season. You can expect ocean temperatures from 75 to 86° F (24 to 30° C), with the warmest months during summer. Fall brings cooler water, wind, and rain, making for chilly nights at sea. Most divers are comfortable in a shortie, but consider a full suit if your plans include wreck penetration. Water clarity in the Bahamas is some of the best in the Caribbean, making it a top destination for underwater photographers. You can expect 65 to 131 feet (20 to 40 meters) throughout the year, even during the rainy season. Keep in mind that water clarity is reduced in and around some shipwrecks due to silt and debris. The Bahamas are a world-class liveaboard destination, famous for ultra crystal clear water, white sand beaches, and thrilling shark and wreck dives. The islands are easy to reach in just one day, with direct flights from many US cities. 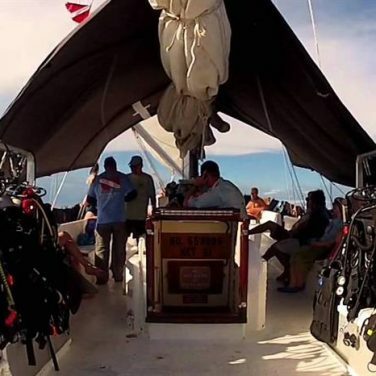 And, most liveaboards offer activities for non-divers and a full range of PADI courses, too. So, this region is perfect for family dive holidays, first-timers, and groups that include snorkelers. This tropical paradise is home to a variety of dive sites, ranging from mild to wild. If you’re looking to take it easy, there are plenty of chilled out reefs to explore. But, divers looking for adventure can find it here, too. Plunging walls, shipwrecks, and close encounters with sharks make it easy to get your pulse rate up. And, with itineraries offering anywhere between 3 and 5 dives a day, you can decide precisely how much time you want to spend underwater. 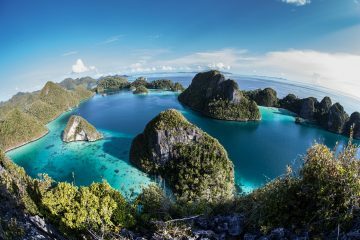 These tropical islands are equally impressive above the waves. So, you can expect plenty of shore excursions included in your itinerary. And, some of the best views in the Caribbean. 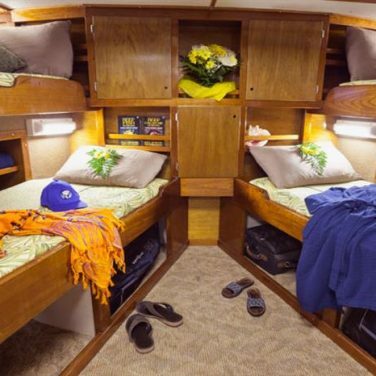 Most liveaboards here focus on activities over onboard luxuries. 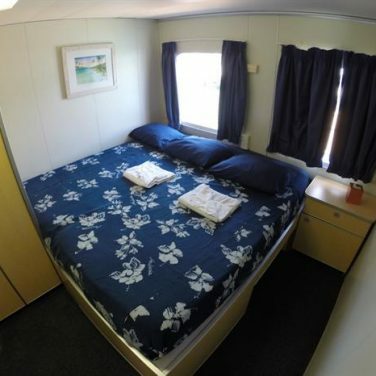 But, with so much to see and do in the area, you won’t want to spend much time in your cabin, anyway. No matter what time of year you dive the Bahamas, you’re sure to see sharks. These shy and powerful predators are one of the region’s most impressive attractions, drawing thousands of visitors each year. And, thanks to years of conservation efforts, they are thriving! 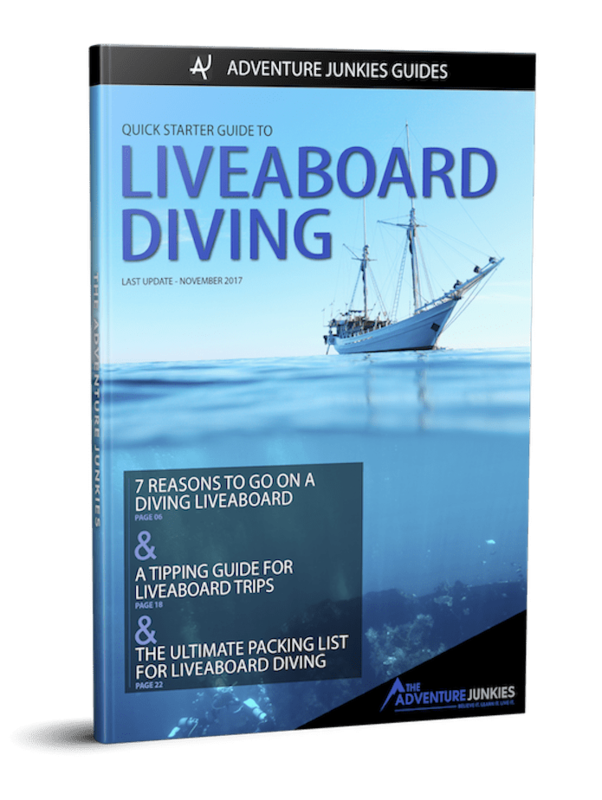 Liveaboard divers should choose environmentally responsible operators whenever possible. And, avoid unnatural encounters like touching and feeding. Most of this region’s wrecks were intentionally sunk to create underwater attractions for divers. So, they aren’t suitable for technical penetrations. And, the majority lie in very shallow water. But, don’t let that deter you. Many of these boats are in excellent condition, supporting their own marine ecosystems. Plus, the clear, light-filled water found here makes them perfect for underwater photography. The northern islands and Bimini are best for spotting hammerheads. But, they do make appearances on reefs all throughout the region. Sightings increase from November to March when cold water and strong currents attract them into shallow water. But, anything can happen in this magical destination, especially at incredible sites like Bull Run and Tiger Beach! No trip to the Bahamas is complete without exploring the region’s above water attractions. Most boats spend an afternoon visiting the rare Bahamas rock iguanas of Allan’s Cay. And, almost every itinerary here includes a chance to see the famous swimming pigs of Pig Beach. Other popular shore excursions include island hopping, snorkeling, mangrove tours, and visits to blowhole beach. Whether you are new to diving or hoping to continue your education while on holiday, this region is a great fit. Most boats offer a full range of courses, beginning with Discover Scuba. And, there are plenty of dive sites perfectly suited for specialty training. Wreck certification, underwater photography, and shark conservation are top picks. With over 700 islands in total, the potential for diving in the Bahamas is limitless. Whether you’re hoping to take the plunge on laid-back tropical reefs, explore sunken ships, or experience the thrill of encountering sharks, this region has exactly what you’re looking for. 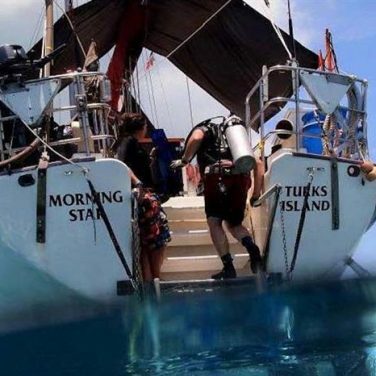 And, because the islands are so accessible, one week is plenty of time for a liveaboard dive trip. Though, experienced divers may want more time in these pristine waters. Farther-flung diving areas like Bimini do take a bit more time to reach. But, unspoiled reefs, big sharks, and even more shipwrecks make them well worth the extra time in transit. 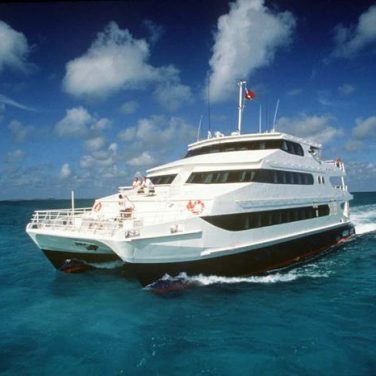 Most boats offer 7 day “best of” itineraries that visit Exumas and a few of the northern islands. These voyages include 3 to 5 tanks per day at reefs, wrecks, and sand flats known for shark encounters. Plus, they include trips to see the Bahamas famous iguanas and swimming pigs. 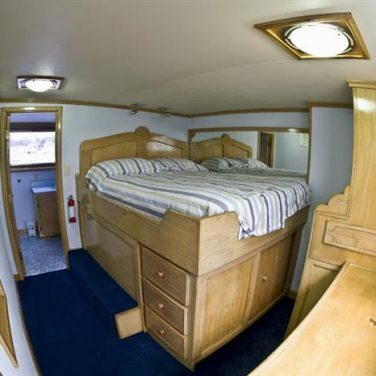 If this is your very first liveaboard, you have non-divers in your group, or you prefer super calm conditions, this type of trip is a good fit. And, a week at sea is plenty of time to complete a diving course, too. 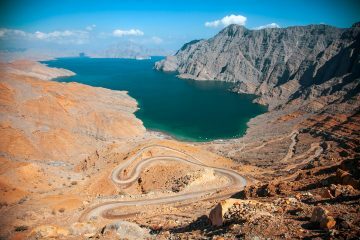 If you’ve visited the region before or you’re looking for adventure, longer voyages lasting up to 11 days are a great option. These expeditions visit all the best dive sites in Exumas, as well as the central and northern islands. Because these trips cater to more experienced divers, they typically feature more time on wrecks and walls. 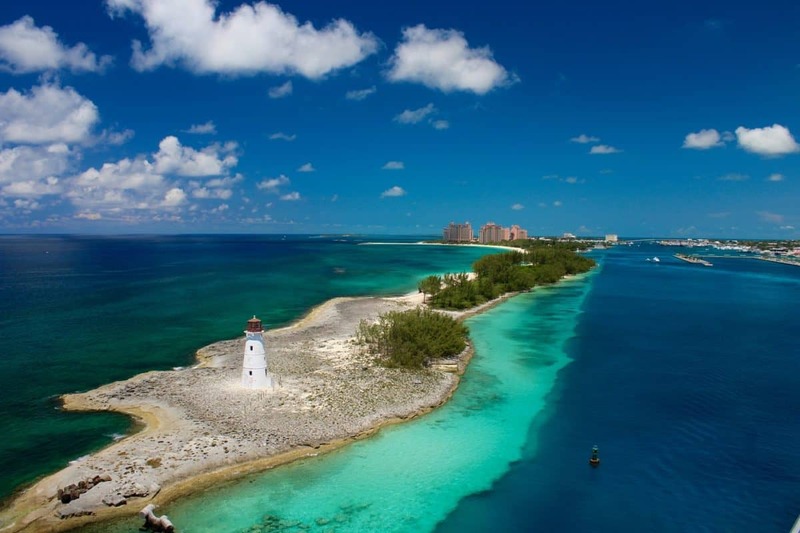 If you prefer an itinerary that visits the Bimini islands, keep their remote location in mind. These trips may stop at a few dive sites in the northern Bahamas, but will not visit any of the Exumas. Underwater photographers flock to the Bahamas for wide-angle photography opportunities. And, the conditions in this region are perfect for learning. Photo workshops spend a week at sea honing your skills. And, they offer plenty of opportunities to get to know other photographers. Some of these trips offer special perks like celebrity hosts, 1 on 1 coaching, and daily shootouts or competitions. You can expect excellent visibility and stunning subjects, the perfect combo for capturing that once in a lifetime shot. Every liveaboard in the Bahamas visits this signature dive site thanks to its dramatic underwater landscape and vibrant marine life. The hole itself is more than 100 ft (30m) wide, and 200 ft (60m) deep. So, to explore this site’s maximum depths, you’ll need technical training. Large groups of blacknose sharks gather here during summer months. But, they prefer the cooler water beyond recreational diving limits. Closer to the surface, nurse sharks rest in cracks and crevices around the hole’s walls. All levels of certified divers can explore the sandy rim, home to stingrays, turtles, blennies, gobies, and other tube dwellers. Tiger Beach is known for encounters with all kinds of big sharks, not just tigers. Here, dive groups kneel on the sandy bottom and wait while professional guides create a chum slick, attracting the sharks. Then, it’s photography time! With super clear water and little to no current, the stage is set for incredible wide-angle shots. And, many of the tiger and hammerhead sharks that gather here to feed are well known. So, you might even be able to identify them by name. Some operators do hand feed the sharks, but you are better off choosing a liveaboard that avoids this practice. These wrecks feature in many films, most notably those from the Bond series. These days, the Vulcan Bomber is unrecognizable as an aircraft. But, it does have a unique skeletal appearance and healthy coral growth. Nearby, the Tears of Allah tugboat wreck makes for an easy penetration. So, it’s often used as a training site. Divers should use caution inside this wreck, as it has become a haven for lionfish. And, if you’d rather not go inside, there are plenty of excellent photo opportunities on this ship’s exterior. It’s best to visit both wrecks in a single dive, as they are a short swim apart. The central islands, especially Eleuthera, are home to some of the best wall diving in the Caribbean. And, Monolith is an excellent example. This huge dive site features a vertical drop encrusted with coral and sponges. Less experienced divers can stay on the reef’s top side, exploring massive coral heads and sandy channels. The shallows host a variety of tropical fish, stingrays, and garden eels. And, nurse sharks scour the wall’s many crevices, looking for a place to sleep. But, the real action takes place out in the blue. Groups of eagle rays and reef sharks patrol the dropoff, often en masse. This is an excellent deep water dive site, perfect for encounters with big fish. Forming what feels like a series of walls, the pinnacles rise more than 100 feet from the seabed. Each formation is encrusted with sea whips, sponges, and large stands of black coral. Most groups begin this dive out in the blue, where reef sharks and eagle rays are often encountered. And, the pinnacles themselves are a great place to spot sleeping nurse sharks, sea turtles, and massive moray eels. This site is a favorite among photographers thanks to its excellent visibility and natural lighting. This purpose-sunk wreck is one of the region’s better options for penetration. But, serious wreck and tech divers won’t find it much of a challenge. In preparation for scuba diving, many holes were cut in this ship’s hull. If you decide to go inside, you’ll discover wide passageways, and a vast cargo hold containing a bus. There is plenty to see on this wreck’s exterior, too. Dozens of blacktip reef sharks live here. And, the hull is entirely encrusted with coral and sponges. Photographers should plan for wide-angle shots and video thanks to this sites excellent visibility. The Bahamas isn’t a destination known for drift diving. But, that doesn’t mean you can’t find high-speed underwater adventure here. The Washing Machine is perfect for an adrenaline rush, thanks to its strong circular tide. This rushing water often rolls divers head over heels, and sometimes creates a full-blown whirlpool! Once you have finished a wild ride through this site’s more challenging areas, you’ll have plenty of time to enjoy its shallow, light-filled coral gardens. This is a great place to spot sea turtles munching away at the reef, and nurse sharks napping in the sand channels. Have you ever seen a photo or video of divers on a wreck, being slowly circled by Caribbean reef sharks? The chances are good that it was taken here! While this boat has been sitting on the sea floor for over 20 years, it remains largely intact. Though, penetration is no longer possible due to some internal collapse. A peek through the portholes reveals a tangled mass of twisted metal, cables, and oil cans. But, the real action is on this wreck’s exterior. Besides the ever-present sharks, you’ll most likely see schooling barracuda, massive groupers, and turtles. These famous shipwrecks are visible both above and below water, making them some of the most photographed sites in Bimini. Both wrecks are quite shallow and offer no opportunities for penetration. But, they are still popular with divers thanks to their vibrant covering of hard and soft coral. Macro enthusiasts can search for blennies, gobies, seahorses, and slugs here. But, most divers prefer to watch over the sand for nurse sharks, massive southern stingrays, and sea turtles. Both sites are excellent for night diving too. After dark, you’ll see sleeping turtles, giant groupers, and a variety of lobsters, squid, and octopus. If you’re diving in Bimini hoping to see sharks, this site will not disappoint. With blacktips and nurse sharks on display every day, you’re sure to have an up-close encounter. Lucky groups might also spot lemon sharks, hammerheads, and even bull sharks! But, Bull Run has plenty to offer besides its famous residents. 3 massive coral heads, rising from a sandy floor, giving the center a stadium-like feeling. And, you can find a system of swim-throughs and caverns here, too. Most boats stick around for at least 2 tanks, so you’ll have plenty of chances to explore the entire dive site.